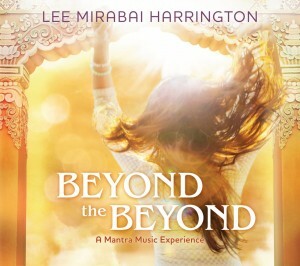 Singer/writer Lee Mirabai Harrington joins Ramdesh today to talk about her brand new debut album Beyond the Beyond: A Mantra Music Experience. 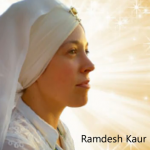 Ramdesh loves introducing a new musician with fresh music who is launching onto the kirtan scene so it’s her honor on this podcast to welcome this very special “best kept secret.” You’ll hear about Buddhist Mantra, Hindu Mantra and Gurmukhi mantra on this unique show. Lee has had a mantra practice for a long time; she lives in Woodstock, New York, the home of a very large kirtan community. The main impetus for making the album was encouragement from one of her gurus. She felt some resistance at first, from being shy and insecure, but she decided to bring the album forth. Lee decided to include three Buddhist mantras on the album to expose people in the kirtan world to how powerful, cleansing and transformative Buddhist mantras are. She also included several from the Hindu tradition, and one from Kundalini yoga, which she’s been practicing since 2004. When Lee initially began thinking of doing the album, she explains, she considered producing one for each style, but the idea of putting all three on one seemed to call to her. This sampler represents a variety of musical styles; she explains that she intuited the melodies and the compositions often in a dream state or on walks with her dog. “I stuck with my intuition the entire time and really just trusted however I was being guided even though from a logical standpoint it might not necessarily make sense,” Lee says. Speaking of dogs, Lee has a tremendous connection to animals and is a well-known dog author as well as a columnist for an alternative dog magazine called Bark. She also chants mantras for rescue dogs at shelters. “It’s wonderful,” she says, “I think everyone should do it!” Dogs can benefit and heal from mantras just as humans can, and they get really excited by certain mantras. Lee shares a wonderful story about her dog’s favorite mantra, a playful, joyful chant about Krishna: “Om Mani Peme Hum.” This mantra can also ensure a good rebirth! “Mantras for dogs is a real thing,” Ramdesh adds; she played this mantra for her own dog when she was transitioning. Lee also uses mantra to help the rescue dogs with anxiety and offers Reiki for them. You’ll hear “Om Mani Peme Hum Remix,” which is the first track on the album. This is a mantra of compassion, and will help cultivate a sense of compassion for yourself and all others, Lee explains. “This is the most chanted mantra in the Buddhist tradition. If you chant it l000 times a day it can purify all of your karma and your family’s karma in this life time and in seven life times forward and seven life times back.” The track opens with a melody by two Buddhist lamas, and then it really beings to rock! 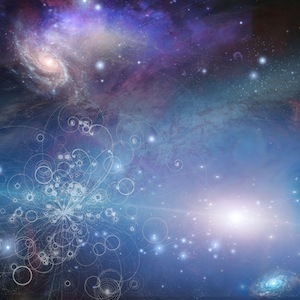 The third track is again from the Buddhist tradition: “Om Tare Tuttare Ture Soha Remix.” Om Tare Tuttare is a mantra of protection; Tare is known as the divine mother of all Buddhas, Lee notes. If you say her name Tare’s energy arrives in an instant at your side, ready to help. This is both a deity mantra and a sound healing mantra. Don’t fret about pronunciation and spellings, though you’ll learn a lot about both by listening to this podcast. The show plays out to “Aad Guray Nameh,” a protection mantra in this case based on the melody that Yogi Bhajan used. 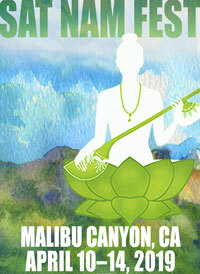 The mantra is great for people with social phobias to strengthen the aura and vibration, Lee points out. It’s also another mantra that “the doggies and even the bunny rabbits love!” No wonder we love it, too! New & Noteworthy at Spirit Voyage!